Homecoming – The Statue of Liverpool takes the form of the iconic Liver Bird, standing 100 meters tall and nesting at the entrance to Liverpool in the River Mersey. 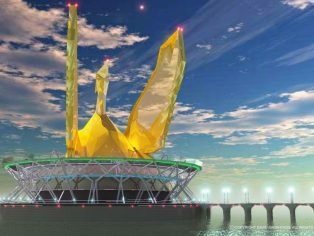 It will be fully self-sustainable with zero energy costs as power will be provided through wind turbines within the ‘wings’ of the structure and tidal turbines underneath the ‘nest’. The golden green bird will also be covered in diamond shaped photovoltaic cells converting solar power into energy. 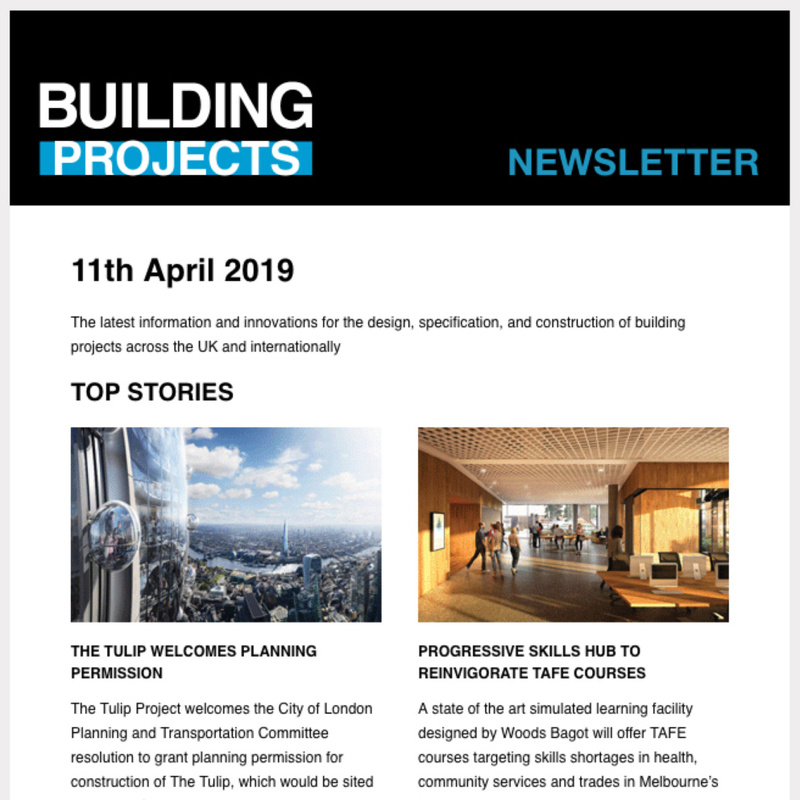 The spacious building houses an atrium on every floor and can accommodate will a huge variety of activities, ranging from a luxury hotel and apartment complexs to specialised shopping outlets and creative spaces. 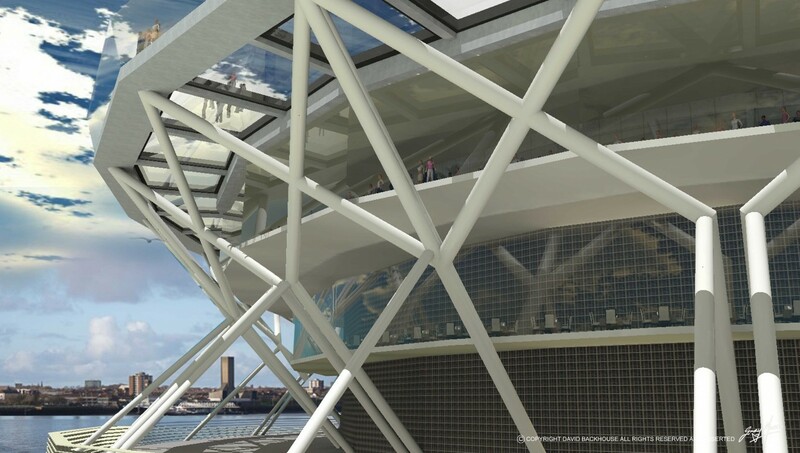 A split-level restaurant will be located behind the Liver Birds eyes, offering a panoramic view of Liverpool, similar to that of the Statue of Liberty in New York or the Oriental Peal Tower in Shanghai. Numerous leisure activities including a Genealogy museum linked to New York’s Ellis Island are also planned. Liverpool has always been synonymous with creativity and talent and the Homecoming will continue that trend, offering specialised zones where IT start-ups, entrepreneurs or charitable sector organisations will come together, fostering innovation and development. 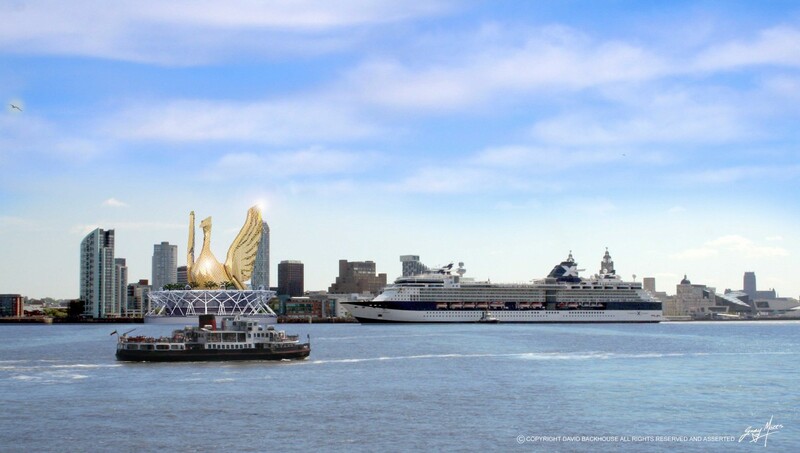 His team believe that the project will become another great Liverpool landmark and a huge tourist attraction, set just downstream from the world famous ‘Three Graces’. They have consulted tidal experts and engineers – whilst also being advised by local experienced river pilot John Curry – on the positioning of the island. Design team members Peter Foo and Gary Morris said they wanted to help create something for the city that will be a source of pride ‘not only for residents, but Scousers all over the world. 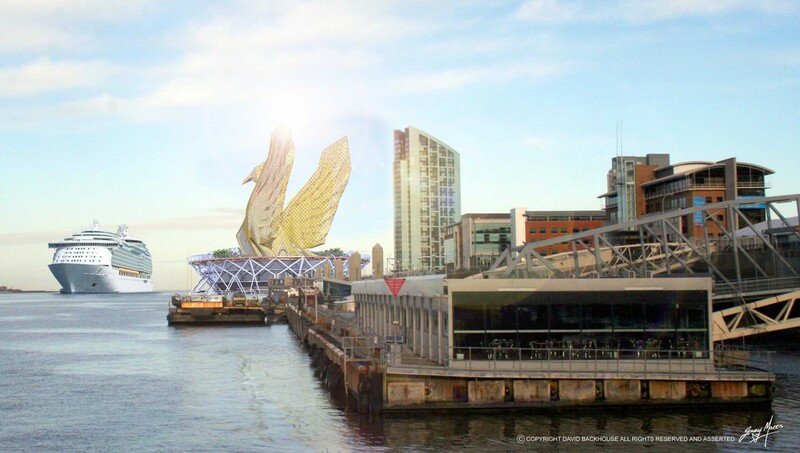 It will symbolise the tradition of the city but more importantly the essence of the new Liverpool in the 21st Century, exciting and self-sustaining’.